Are you considering an Exercise Science degree or asking yourself “what can you do with an exercise science degree?” to help plan for your future? Whatever your stage in life — consideration, current Exercise Science student, or recent grad — this post is for you. As a previous Exercise Science graduate (I studied Kinesiology at California State University, Long Beach) I can give you a little taste of the college route (as well as other education paths) and provide insight into the options for Exercise Science careers. But first, let’s define what Exercise Science is. Exercise Science describes the study of the body under the stress of exercise including acute and chronic adaptations like the effects on overall health parameters, pathologies, and its potential to reduce, or reverse, disease progression. You can also expect a strong educational emphasis in the areas of anatomy, physiology, chemistry, biology, and oftentimes, physics. If there is one thing I want to emphasize about studying Exercise Science is that the majority of careers in the field require additional graduate school coursework. Yes, that is worth repeating. The important takeaway here is that for most, the bachelor’s degree in and of itself does not get them to the career that they want. Additionally, and as I will get into more below, the career you want might not require a four year college degree in Exercise Science. However, if you are interested in some of the above careers that require education beyond a B.S. degree, by all means continue on the path that makes the most sense for you. I emphasize this point because I have met many people who studied Exercise Science in college only to find that they either did not realize they needed additional education to get the career they wanted, or realized there were quicker, more affordable ways to get into the career they wanted. Provided below are the most popular career paths in Exercise Science, which may or may not include a college education, are below. By far, the most common career path chosen by people looking to have an Exercise Science career, as well as who are currently studying Exercise Science, is personal training. The benefits of a career in personal training are numerous and can even be aligned with that of any of the other careers on this list. For starters, you don’t need to get a bachelor’s degree to become a personal trainer. In fact, there are five separate ways you can become a personal trainer, ranging from certification from accredited companies, to vocational college, to university programs, to online options, and internal gym programs. 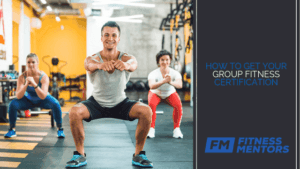 If your heart is set on becoming a personal trainer it certainly would be helpful for you to understand your options for certification beforehand. Now, I am certainly not knocking university or college-based personal training certification options — I got my B.S. at a university and was a college instructor afterward — but I do understand that it may not be an option for everyone. But what if you want a career that requires a college degree? 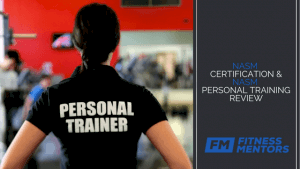 Would it still be beneficial consider a personal training certification? Let’s say you choose any of the aforementioned education routes for your career in Exercise Science: college degree or not. Either way, you can benefit from a personal training certification no matter what route you take. If you are wanting to have a career as a personal trainer, you can get certified in as little as two to five months and start making money right away. If you are in college and are studying Exercise Science, it is still a good idea to get a personal training certification because you can begin gaining experience within your career immediately and can even pay for your education, through your personal training income. For example, while I was in college I used my personal training certification to my advantage. I was able to train clients around my school schedule given the flexibility of the career. This provided me industry experience, but also allowed me to pay my way through college. According to the Bureau of Labor Statistics (BLS), a career in Physical Therapy has some very promising advantages. For starters, the median pay approaches $90,000 per year, is expected to grow 28% by 2016 (which is much faster than average), and consistently ranks as one of the best jobs in healthcare for work-life balance. Physical therapy jobs tend to require a doctoral degree (DPT), although some may accept a master’s degree. CostHelper.com says that doctoral physical therapy degrees can cost $35,000 (such as the doctorate in physical therapy at the University of Illinois at Chicago), or much more for out-of-state students, such as The University of Delaware’s doctoral program which costs over $75,000. That is on top of the money you spend for your bachelors degree. Athletic trainers also rank high on this list as the profession is similar in scope to that of personal trainers, yet requires a formal bachelor’s degree in a specialized program and the passing of a state licensure exam. Athletic trainers have a median income of $46,630 per year according to the BLS, and have a rapid rate of employment at 23% when looking out to 2016. One of the coolest things I find about athletic trainer careers is that they often work alongside athletes within educational settings such as colleges of universities.This often means these professionals are the ones who work hand-in-hand with some of the best up-and-coming athletic talent in the country. They can also work with younger students, within hospitals, or even for professional sports teams. With a median pay of just under $50,000 per year, and a faster than average job outlook, a career in exercise physiology is a popular choice for many looking to put their Exercise Science degree to work. This type of career typically requires a Masters in Exercise Physiology, which on average takes 6 years of total college time as well as requires board certification through the American Society of Exercise Physiologists. Another interesting aspect of this career is that about half of all exercise physiologists are self-employed. So if you have an entrepreneurial spirit and enjoy the freedom of owning your own business, you may be able to do well in this career. According to ZipRecruiter, PE teachers make about $42,500 per year. While this is the lowest salary on this list, you have to remember that these teachers tend to have summers off and benefit from all school holidays as well as teacher pensions. Typical education requirements for this career include a bachelor’s degree in exercise science as well as a teaching credential or a masters in education. 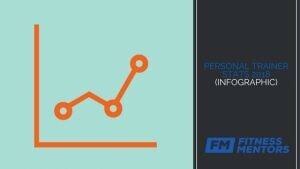 Often times a personal training certification will enhance the likelihood of employment as well. We also can’t forget that PE teachers get to hang out in gym clothes all day, coach fun sports like kickball and dodgeball, and even be physical fitness role models for many of their students. Granted there is some give and take for each of the professions on this list in terms of knocking off all the boxes of the most ideal career, but the daily life of the PE coach can be very rewarding. As we have learned above, not all careers within Exercise Science require a full-fledged bachelor’s degree. Similarly, we’ve learned that many sought after degrees within Exercise Science require advanced degrees such as master’s or doctoral degrees. With that in mind below is a comprehensive list of the many careers and their educational obligations. Note that some of these careers may overlap in multiple categories. You should now have a better idea of what you can do in the exciting field that is Exercise Science. For many, a bachelor’s degree at a college or university is the path that they will take to become educated in the many areas of movement and exercise. For others, the bachelor’s is just a stepping stone for a more advanced degree as in the case of physical therapy, physician’s assistant, or doctoral paths. Others may be surprised to learn there are many rewarding careers in Exercise Science that do not require a college degree, and the most popular career in this field, a certified personal trainer, demonstrates that. With these considerations in mind, you should be able to paint a great picture of where you want your career to take you. What is your experience with jobs and education in the Exercise Science niche? Is there any tip you wish you knew before you started your studies or career? Let us know in the comments.